This will be the home of your new living environment. 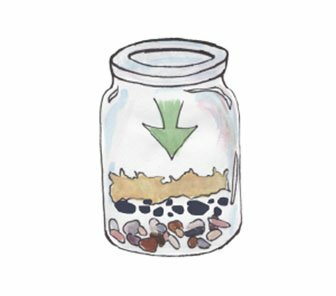 Adding a layer of sand and/or small pebbles will ensure your terrarium has good drainage and will create humidity. Charcoal will help absorb odor and excess moisture. 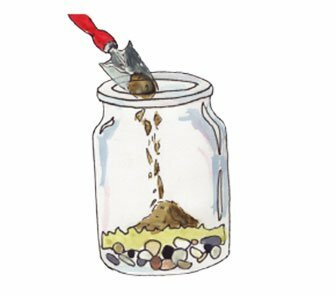 The moss will prevent the soil which will be added next, from settling into sand and small pebbles. Regular potting soil will get the job done. However, if you are creating a desert environment with succulents, a cactus planting mix is best. 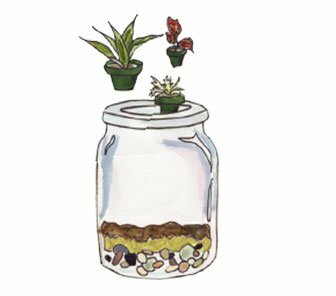 Place your plants, while still in their containers, within your terrarium to find the perfect arrangement. Once you are satisfied with the look, install. 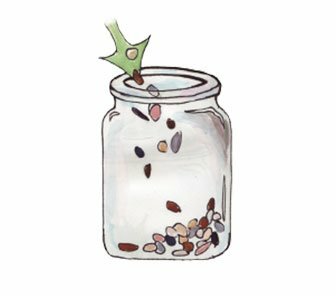 Place ornaments and/or decorations in your terrarium to suit your taste, and of course, the season! Terrariums thrive in indirect bright light. When condensation builds up on the glass, it is a sign that it’s time to open it up and let some air in. 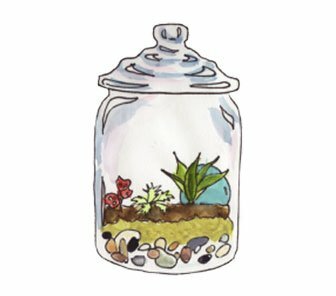 How much water your terrarium needs depends on how much condensation builds up and how often you aerate. As a general rule of thumb, water once a week. But, remember, it is always easier to add more water than to remove the excess. A terrarium should never be soggy. 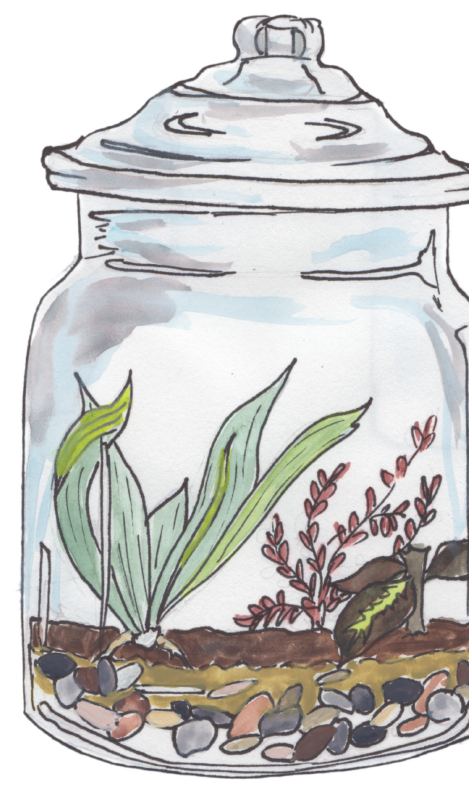 To transplant from your terrarium, make sure the soil is moist in the container you’re transplanting from. Use a spoon to try to dig out a small root ball of soil about an inch in diameter to minimize the root disturbance. 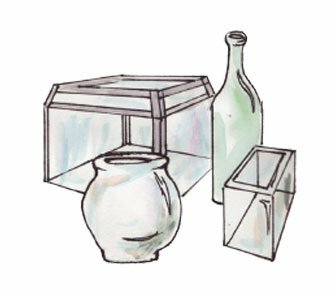 Place your plant in a new container and water thoroughly.